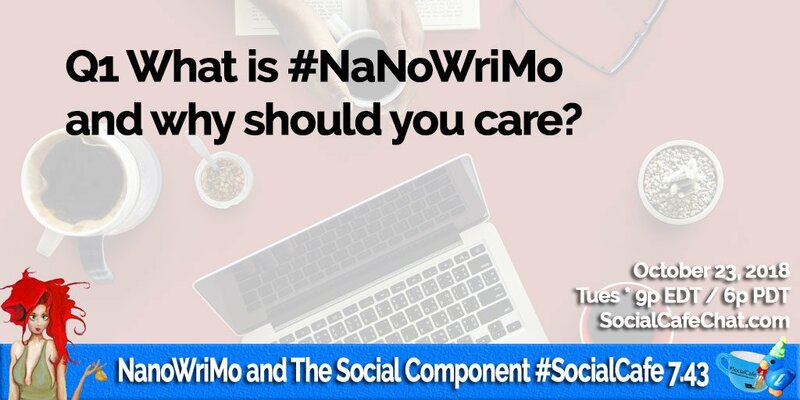 What is #NaNoWriMo and why should you care? 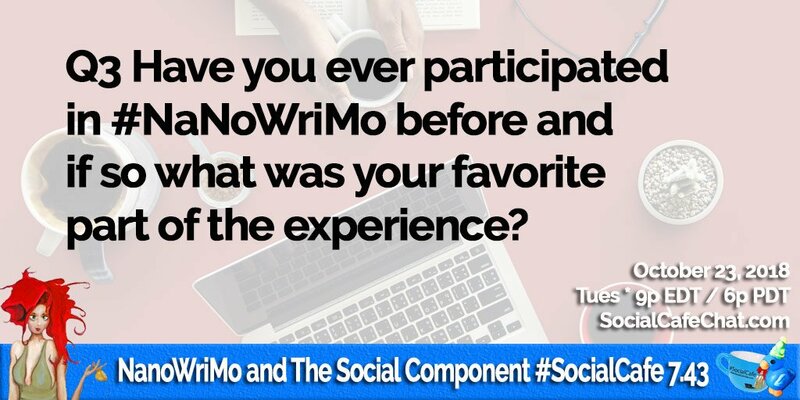 Have you ever participated in #NaNoWriMo before and if so what was your favorite part of the experience? 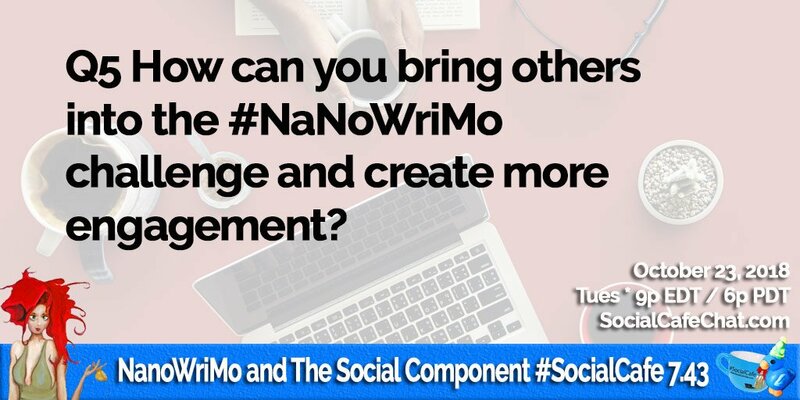 How can you bring others into the #NaNoWriMo challenge and create more engagement? 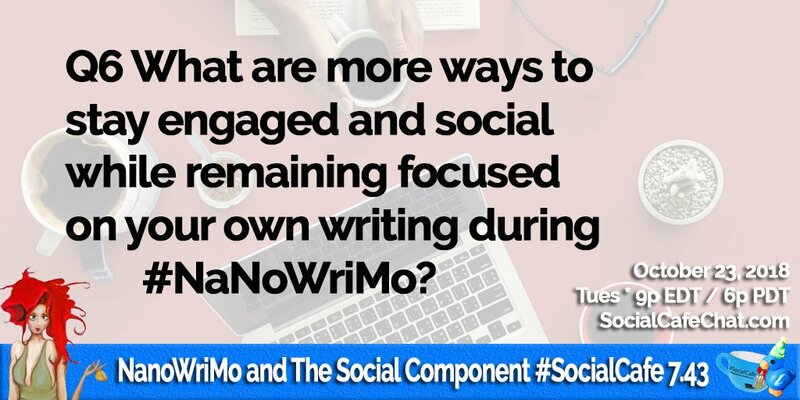 What are more ways to stay engaged and social while remaining focused on your own writing during #NaNoWriMo? 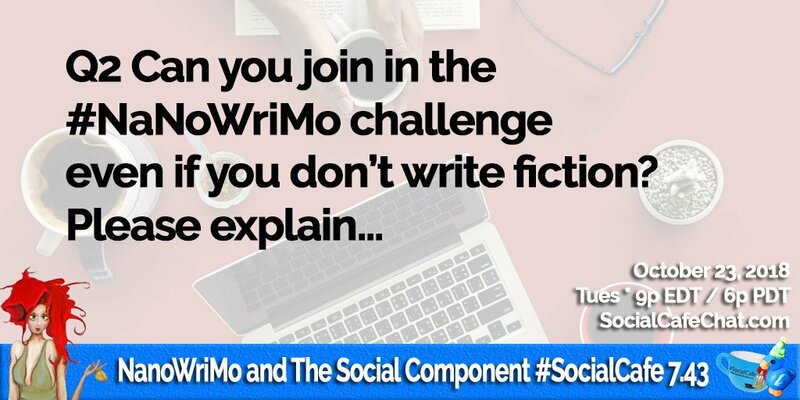 Do you know of any online meetups for #NaNoWriMo? 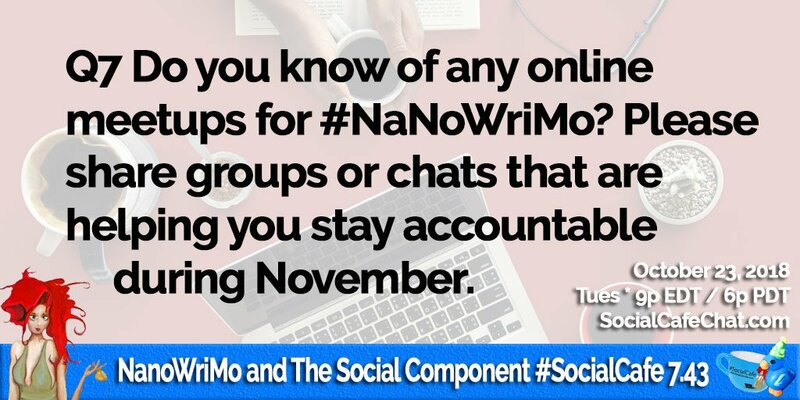 Please share groups or chats that are helping you stay accountable during November. 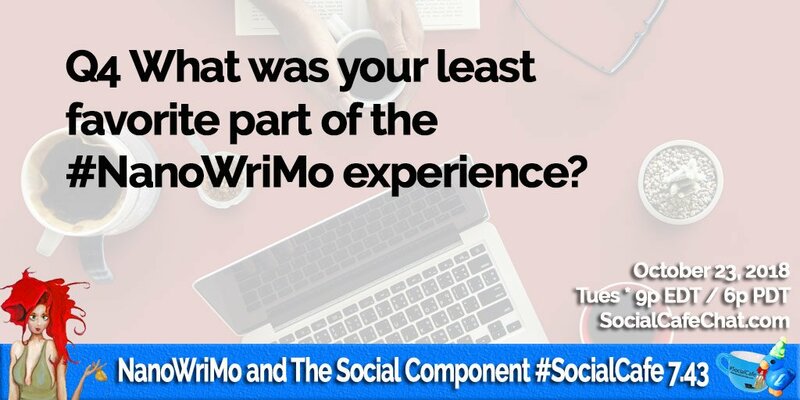 A7: I don't know many #writing groups for #nanowrimo2018 but https://t.co/TirefigMzg - the NaNo Word Warriors was my first group. 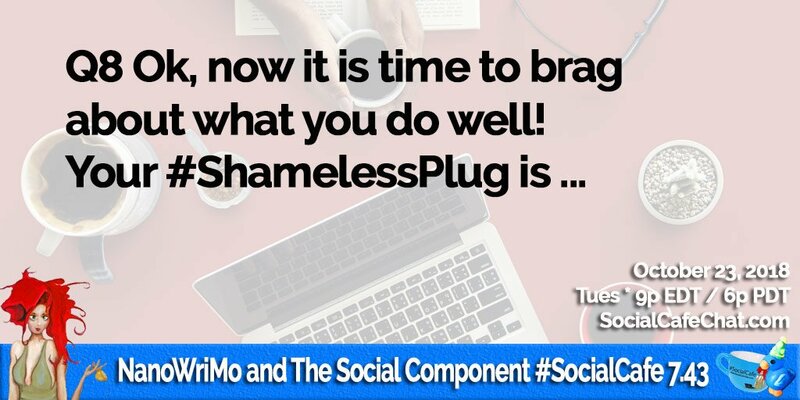 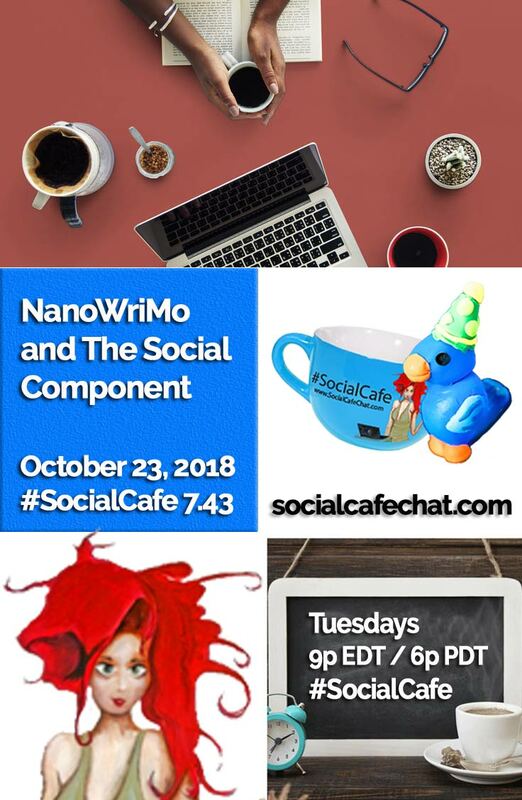 This SocialWebCafe Twitter Event is about NanoWriMo and The Social Component.